No-one ever starts a business solely with the idea of selling it, but sometimes the time comes when you want, or have, to consider whether it is time to do so. But how do you know when that time is? There are a number of signs that could indicate that it is time to sell your business, and if you find that any, or all, of these resonate with you then it might be time to think about contacting a specialist business sales company to ensure that you get the very best price and that your sale goes through smoothly. Here at Selling My Business we have over 100 years collective experience of buying and selling businesses, so you can trust that we will be open, frank and honest to ensure that you get the best deal possible. Do You Need To Hand Over The Reins To Someone New? Letting go of a business into which you have poured the proverbial blood, sweat and tears can be a difficult thing to do. But what if you have reached retirement age or you have to leave the business for reasons of ill health or other personal circumstances? Choosing the exact time to retire is often a matter of personal choice, and selling your business to fund your autumn years can seem like a great reward for a lifetime’s hard work – think regular holidays, spending more time with the family and just generally escaping the rat race. However sometimes your hand may be forced into the decision due to your, or a loved one’s, ill health or other circumstances that means that you are just no longer able to spend that valuable, and necessary, time on your business. Some business sales are instigated when the owner realises that exhaustion now outweighs passion. It may be that you’ve put your heart and soul into the business for so long that you have simply run out of steam or you simply feel that the time is right for something new. Making this decision can be incredibly difficult; however it is often the best thing for the business in the long term. If you have fallen out of love with your company are you really going to be the best person to run it? Will you be able to face making that difficult decision? Could you take that step which might revolutionise your business but will mean lots more hard work in the short term? Or are you more likely to just keep plodding along and playing it safe – but potentially at the detriment of your business? Are You Making A Smart Business Decision? Not all business sales are based on the heart; many are in fact entirely ruled by the head. For example if you’re business has just had a great year and the market is looking lively then maybe the smart move would be the sell your business now whilst it is looking like a great investment to potential buyers? Some savvy business owners may even decide to keep some shares in the business, so not only are they getting their lump sum from the sale of the company, but they are also liable for a share in any future profits essentially without them really having to do anything further. 10% capital gains tax on chargeable assets if the amount is within the basic tax band (if your total earnings are between £11,501 and £45,000). 20% capital gains tax on chargeable assets if you are a higher or additional rate tax payer (total earnings of £45,001 or over). However please note that this does not apply to capital gains tax charged on residential property that is not your main home, the capital gains tax rate for this remains at 18% for basic rate tax payers and 28% for those who fall into the higher or additional rate bands. Some business owners may make the decision to sell up through a combination of making a smart business decision but also feeling that the time is right to move on. For example if you have worked hard to make your business successful and have now got it to the point where if you sell up you will take away enough cash in your pocket to keep you financially secure and comfortable for the foreseeable future, then the decision may seem obvious. Being financially secure can give you the opportunity to follow that dream that you’ve always had or just give you the safety net to be able to try something new and innovative. Is Your Future Looking Bleak? Unfortunately not all business sales are based on positive factors. Not all markets and products are viable forever and sometimes it might just be time for you to swallow that bitter pill and say enough is enough. However if you are savvy and keep your ear to the ground you may be able to predict and downturn before it arrives and thus there may still be a short window where you can sell up before the rot sets in. In these cases especially employing the services of a professional business sales company is even more essential as they are likely to be able to move things along much more swiftly that if you try and set out on your own. Or maybe you are looking at the overall financial landscape and feeling that storm clouds are brewing. Although there are signs of recovery from the global recession, we cannot be sure that there isn’t another one around the corner and we are yet to see the full impact of Brexit on many UK sectors. If this is the case then maybe the insecurity of running your own business is just weighing too heavily on your mind and you have decided that it’s time to get out. Whatever the reason is that you decide to sell your business, Selling My Business can help. We have extensive experience of helping all types of people sell their businesses, in the most streamlined, efficient and profitable way possible. We also promise to only ever tell you the truth – if it’s not the right time to sell your business now, then we’ll tell you. 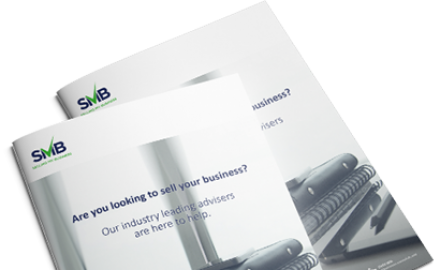 To find out more about how Selling My Business can help you contact us today. Next Article: Exit Strategy: Is a management buyout right for you?